Saudi Arabia transferred $50 million to the United Nations Relief and Works Agency for Palestine Refugees (UNRWA) that it had pledged during UNRWA's Commissioner-General Pierre Krahenbuhl visit to Saudi Arabia on 28 November. Krahenbuhl had signed an agreement with Abdullah bin Abdulaziz Al Rabeeah, Supervisor General of the King Salman Humanitarian Aid and Relief Center (KSC), in support of UNRWA’s core health, education and social services in 2018. A press release by UNRWA press release said that this very generous and crucial contribution confirms the unprecedented mobilization of support by donors and partners worldwide this year to help UNRWA to overcome its worst financial crisis ever. Krahenbuhl expressed his deep recognition and gratitude for the disbursement of this remarkable financial support, said UNRWA press release, which comes in fulfillment of the pledge made by King Salman bin Abdulaziz Al Saud during the Arab summit in April. “We are extremely grateful for the generous support consistently provided by the Kingdom of Saudi Arabia in recent years. The exemplary 2018 donation of $450 million to UNRWA’s core services is a new milestone in our important cooperation,” said Krahenbuhl. 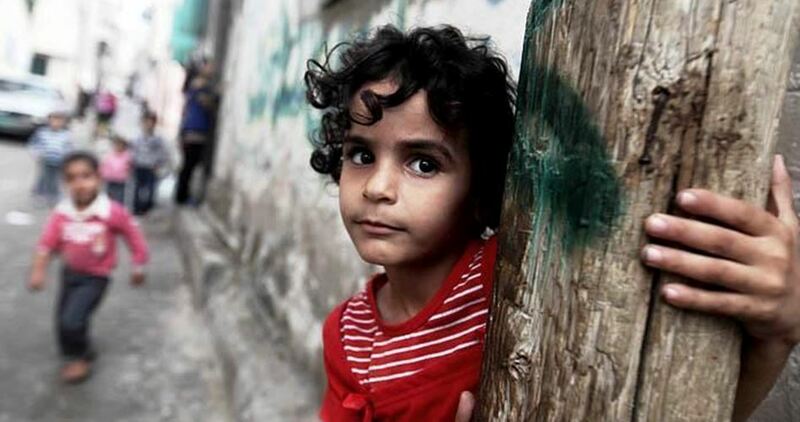 Saudi Arabia, along with its humanitarian and development bodies, is a valued partner to UNRWA. This year alone, the Kingdom has contributed over $160 million towards the Agency including projects across its five fields of operations making it one of the largest donors to UNRWA’s work for Palestine refugees. The King Salman Humanitarian Aid and Relief Center was established on 13 May 2015, under the high patronage and guidance of the Custodian of the Two Holy Mosques, King Salman bin Abdul-Aziz Al Saud, aiming to provide humanitarian aid and relief to those in need outside of the Kingdom’s borders. The Center has provided humanitarian and development aid to more than 37 countries through international, regional and local partners in place. The Organization of Islamic Cooperation (OIC) has announced its intention to establish a fund to support the Palestinian refugees. According to a press release issued by the organization, a committee of experts from the OIC member states held a meeting on Wednesday to discuss the draft statute of the waqf fund for support of the Palestinian Refugees at the OIC headquarters in Jeddah. OIC secretary-general Yousef al-Othaimeen stated that the meeting came in light of the worsening financial crisis of UNRWA and its impact on the humanitarian, social, and economic situation of the Palestinian refugees, especially after the US suspended its contributions. This came in a statement delivered on his behalf during the meeting by Samir Diyab, the OIC assistant secretary-general for Palestine and al-Quds Affairs. Al-Othaimeen called on the international community to fulfill its historic, political, legal, and humanitarian responsibilities in order to find a just solution to the Palestinian refugee issue, pursuant to the UN General Assembly Resolution No. 194. The draft statute of the waqf fund for support of the Palestinian refugee was presented by the Islamic Development Bank and will be tabled during the 46th session of the OIC ministers of foreign affairs council, slated for March 2019 in Abu Dhabi. 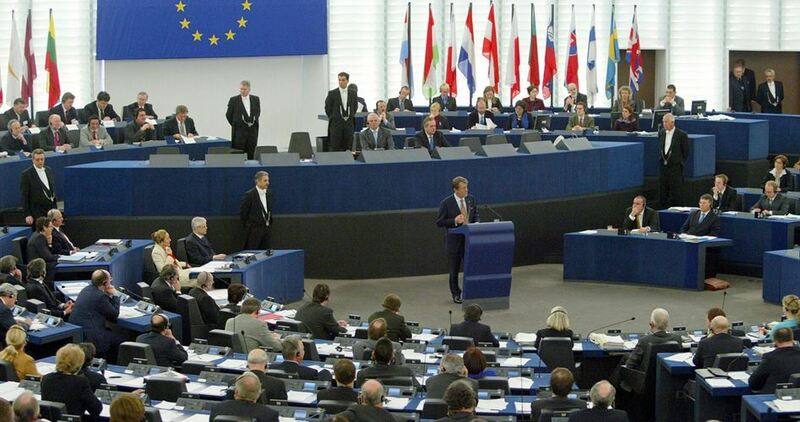 The European Union (EU) has announced it mobilized €20 million additional financial assistance in support of the work of UNRWA, and €73.3 million to improve the living conditions for the Palestinian people in east Jerusalem and to foster economic development in the occupied Palestinian territory. “The funding provided to UNRWA supports the Agency's efforts to ensure the provision of essential services to vulnerable Palestine refugees in the Middle East,” a press release issued on Thursday by the European Commission said. “In parallel, the EU is working with the agency to intensify fundamental reforms and tackle its recurrent financial deficit. In addition, we are investing in socio-economic development including by moving ahead on the critical project 'Gaza Central Desalination Plant' and improving living conditions in east Jerusalem,” Hahn added. Hamas Movement has rejected the justifications of the UN World Food Program (WFP) to cut food services offered to the impoverished Palestinian refugees in the blockaded Gaza Strip and the West Bank. “The reduced services are expected to inflict horrific outcomes on hundreds of thousands of Palestinians who depend on the food assistance provided by WFP as their sole livelihood”, Hamas said in a statement. 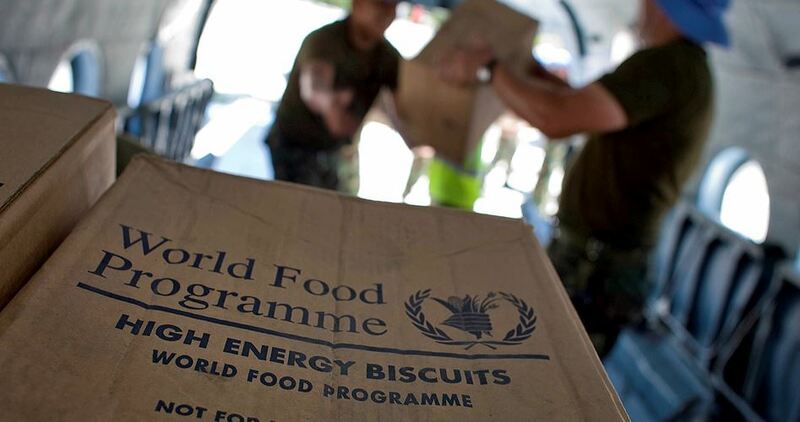 “The WFP’s services are extremely necessary, especially during the current situation, as the Palestinian people have been experiencing difficult humanitarian conditions owing to the 12-year Israeli siege on Gaza and the suffocating Israeli policies”, it said. 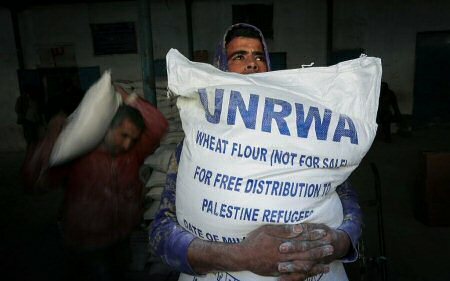 Hamas called on the WFP to rescind its decision and to do its best to make up for the financial crunch. Hamas also urged the international community and donors to provide immediate support for the WFP which provides critical services for the impoverished Palestinian refugees. The UN World Food Programme (WFP) said food aid will be cut from next month to about 190,000 Palestinians in Gaza and the occupied West Bank due to a shortage of funds. Wednesday's announcement follows the slashing of US aid funding to humanitarian agencies working in the occupied territories, which the UN agency responsible for Palestinian refugees said this week would mean that half a million fewer Palestinians would be recipients of aid. “WFP’s assistance has been a lifeline to tens of thousands of people who have exhausted all their meager resources while trying to cope with unabated and mounting hardships,” said Stephen Kearney, WFP country director in Palestine. From 1 January, the United Nations agency will suspend food assistance to 27,000 people in the West Bank. In addition, food aid to 165,000 people in the territory and in the besieged Gaza Strip would be reduced by 20 percent from $10 to $8 per person each month. The US cuts affected 40 percent of total WFP funding, Kearney said. "The major donor that we have had in the past years has been the US. They have cut funding, not just to UNRWA, who work with the refugees in Gaza, but also to the rest of the humanitarian community, including WFP," he said. Kearney said Gaza's underlying problems would remain as long as Israel maintained its blockade. Action Group for Palestinians of Syria on Wednesday said that at least 563 Palestinian refugees have died under torture in the Syrian regime jails. The Group said that there are 1,712 Palestinians currently held in Syrian jails, noting that most families remain silent on the arrest of their sons fearing harassment by the Syrian security forces. It added that Palestinian detainees in the Syrian regime jails are subjected to all forms of torture in public and secret detention centers. Action Group has documented the arrest of 1,680 Palestinian refugees, including 106 women, while it expects that there are at least 1,712 Palestinians in the regime's prisons in view of the lack of information about some detainees' fate and place of detention. Ramzy Baroud is a journalist, author and editor of Palestine Chronicle. His latest book is The Last Earth: A Palestinian Story. An eerie video composed of a recorded audio prayer and a photo of one "Hajj Jamal Ghalaini" occasionally pops up on Facebook. The voice is that of an alleged religious sheikh, praying for the well-being of the man in the photo for saving the Palestinian refugee youth of Lebanon, by facilitating their departure to Europe. The video would have been just another odd social media post, were it not for the fact that Ghalaini is a real person, with his name recurring in the ongoing tragedy of Palestinian refugees in Lebanon. Many have credited their successful "escape" from Lebanon by citing this person, who, kindly, they say, has made the journey to Europe far cheaper than all other human smugglers. We know little about Ghalaini, except that he seems to operate brazenly, without much legal repercussions from Lebanese authorities or the Palestine Liberation Organization (PLO), which is, supposedly, the caretaker of Palestinian refugees in Lebanon. Immediately after the US Administration of Donald Trump began to promote its "Deal of the Century," Palestinian refugees - a fundamental issue in the Palestinian national struggle which has been relegated years ago - have, once more, taken center-stage. Although Trump's plan is yet to be fully revealed, early indications suggest it drives to sideline Jerusalem entirely from any future agreement between Israel and the Palestinian Authority. Moving the US embassy from Tel Aviv to Jerusalem, and Trump's own assertion that "Jerusalem is off the table" is enough to confirm this assumption. Another component of Trump's "deal" is to resolve the issue of refugees without their repatriation and without respecting international law, especially United Nations Resolution 194, which calls for the Right of Return for Palestinian refugees and their descendants, who were driven out from their homes in historic Palestine in 1948. Many news reports have been pointing to an elaborate American plot to downgrade the status of refugees, to argue against UN figures indicating their actual numbers and to choke off UNRWA, the UN organization responsible for refugees' welfare, from badly needed funds. Lebanon has been a major platform for the ongoing campaign targeting Palestinian refugees, particularly because the refugee population in that country is significant in terms of numbers and their plight most urgent in terms of its need for remedy. There appears to be an active plan, involving several parties, to deprive Lebanon’s Palestinian population from their refugee status and to circumvent the "Right of Return." To some, this may seem like wishful thinking, since the "Right of Return" is "inalienable," thus non-negotiable. Yet, obviously, without refugees collectively demanding such a right, the issue could move from being an urgent, tangible demand into a sentimental one that is impossible to achieve. I spoke to Samaa Abu Sharar, a Palestinian activist in Lebanon and the director of the Majed Abu Sharar Media Foundation. She narrated that the nature of the conversation among refugees has changed in recent years. In the past, "almost everybody from young to old spoke about their wish of returning to Palestine one day; at present the majority, particularly the youth, only express one wish: to leave for any other country that would receive them." It is common knowledge that Palestinian refugees in Lebanon are marginalized and mistreated most, when compared to other refugee populations in the Middle East. They are denied most basic human rights enjoyed by Lebanese or foreign groups in Lebanon, or even rights granted to refugees under international conventions. This includes the right to work, as they are denied access to 72 different professions. Left hopeless, with a life of neglect and utter misery in 12 refugee camps and other "gatherings" across Lebanon, Palestinian refugees have persisted for many years, driven by the hope of going back to their Palestinian homeland one day. But the refugees and their Right of Return are no longer a priority for the Palestinian leadership. In fact, this has been the case for nearly two decades. The situation has worsened. With the Syrian war, tens of thousands more refugees flooded the camps, which lacked most basic services. This misery was further accentuated when UNRWA, under intense US pressure, was forced to cancel or downgrade many of its essential services. 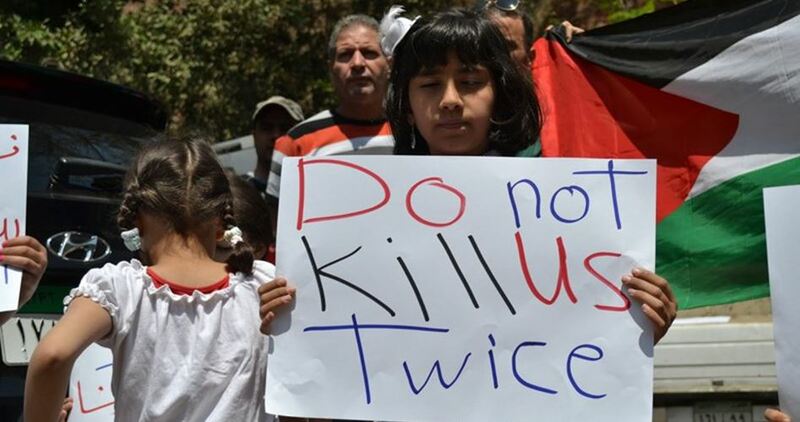 A suspiciously timed census, the first of its kind, by the Lebanese Central Administration of Statistics, conducted jointly with the Palestinian Central Bureau of Statistics last December, resolved that the number of Palestinian refugees in Lebanon stands at only 175,000. The timing is interesting because the survey was conducted at a time that the US Administration has been keen to lower the number of Palestinian refugees, in anticipation of any future agreement between the PA and Israel. 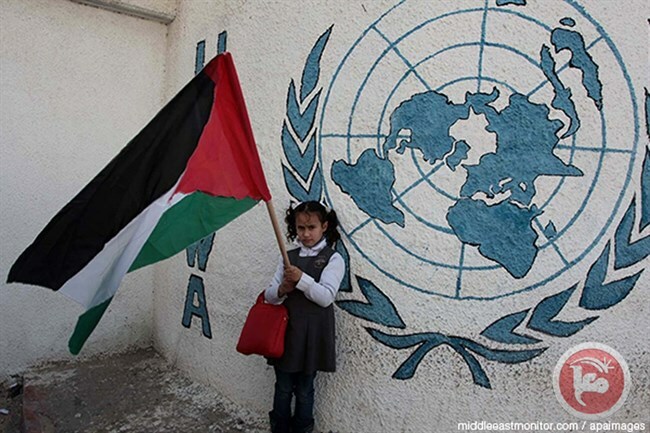 According to UNRWA statistics, there are more than 450,000 Palestinian refugees who are registered with the UN. There is no denial about an influx of Palestinian refugees wanting to leave Lebanon. Some have done so successfully, only to find themselves contending with the misery of yet a new refugee status in Europe. Expectedly, some have returned. Clearly there are those who are keen to rid Lebanon of its Palestinian population, thus the disregard for Ghalaini and other such human trafficking networks. "There is more than one organized network that facilitate the immigration of Palestinians at prices that have recently gone down to make it more accessible to a larger number of people," Abu Sharar told me. The conclusion that many of these young men and women now draw is that "there is no future for them in Lebanon." This is not the happy, triumphant ending that generations of Palestinian refugees in Lebanon have hoped and fought for over the years. Ignoring the misery of Palestinian refugees of Lebanon is now coming at a heavy price. 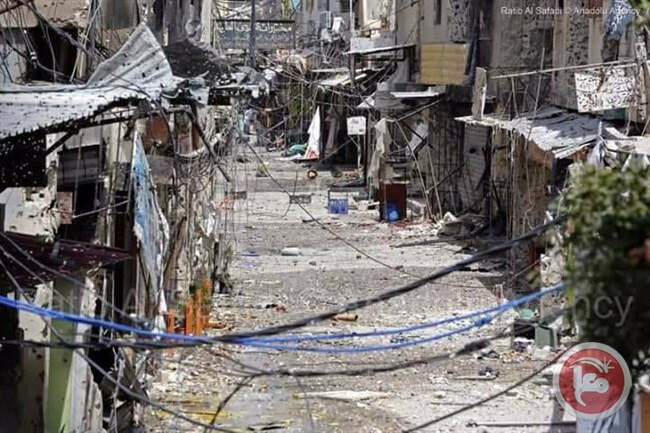 Relegating their plight till "the final status negotiations," a pipe dream that never actualized, is now leading to a two-fold crisis: the worsening suffering of hundreds of thousands of people and the systematic destruction of one of the main pillars of the Palestinian refugees "Right of Return." 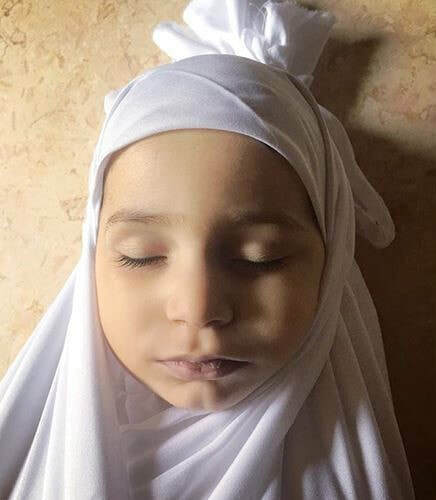 3-year-old Palestinian child Mohamed Wahba was pronounced dead in Tripoli, north of Lebanon, after he was denied admission into a local hospital. Local sources said the hospital administration refused to hospitalize Mohamed Wahba after his family, taking shelter in Naher al-Bared, could not secure treatment fees. The Lebanese Health Ministry reportedly launched an investigation into the incident. Hundreds of Palestinian refugees in Lebanon marched in the child’s funeral procession and denounced the preplanned neglect pursued against Palestinian refugees. On the sidelines of the Doha Forum, Khalifa Bin Jassim Al-Kuwari, Managing Director of the Qatar Fund for Development (QFFD) and Pierre Krähenbühl, the Commissioner-General of the United Nations Relief and Works Agency (UNRWA), signed a landmark two-year agreement in support of the agency’s core services, including education, health-care, relief and social services. This agreement follows the unprecedented $50 M contribution made by the State of Qatar in 2018 in response to the most severe funding crisis ever faced by UNRWA, a press release from the organization revealed. Qatar’s generosity, combined with the funding of UNRWA’s other partners, enabled the agency to overcome a shortfall of $446 M, this year, and protect the rights of Palestine refugees in the West Bank, including East Jerusalem, Gaza, Jordan, Lebanon and Syria, said the release. “They deserve to live decent lives and enjoy the totality of our shared human rights,” he added, according to WAFA. “The new agreement signed today with the Qatar Fund for Development is an important step in the crucial effort to stabilize UNRWA’s financial situation by ensuring increased predictability of funding. I am deeply grateful for Qatar’s trust and partnership,” the Commissioner-General concluded.